Jayceon Terrell Taylor (born November 29, 1979), better known by his stage name The Game (or simply Game), is an American rapper, songwriter, record producer and actor. He is best known as a rapper in the West Coast hip hop scene and for being one of Dr. Dre's signees under Aftermath. Born in Compton, California, he released his first mixtape You Know What It Is Vol. 1 in 2002; shortly after, he was signed to Dr. Dre's Aftermath label. He rose to fame in 2005 with the success of his major-label debut album The Documentary and found continued success with the 2006 follow-up Doctor's Advocate . The Recording Industry Association of America certified The Documentary Double Platinum in March 2005. Andre Romelle Young, known professionally as Dr. Dre, is an American rapper, record producer, and entrepreneur. He is the founder and CEO of Aftermath Entertainment and Beats Electronics, and was previously co-owner of Death Row Records. He has produced albums for and overseen the careers of many rappers, including 2Pac, The D.O.C., Snoop Dogg, Eminem, Xzibit, Knoc-turn'al, 50 Cent, The Game, Kendrick Lamar and Anderson .Paak. He is credited as a key figure in the crafting and popularization of West Coast G-funk, a rap style characterized as synthesizer-based with slow, heavy beats. As of 2018, he is the third richest figure in hip hop, with a net worth of $770 million. East Coast hip hop is a regional subgenre of hip hop music that originated in New York City during the 1970s. Hip hop is recognized to have originated and evolved first in The Bronx, New York; East Coast hip hop only became a distinct subgenre after artists from other regions of the United States emerged with different styles. In contrast to other styles, East Coast hip hop music has prioritized complex lyrics for attentive listening rather than beats for dancing. 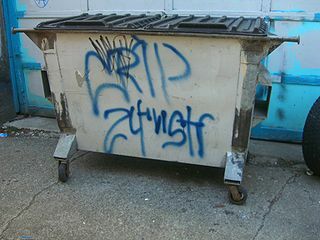 The main components of hip hop culture from that time and still today are MC'ing, DJ'ing, break dancing, and graffiti. G-Unit is an American hip hop group formed by longtime friends and East Coast rappers 50 Cent, Tony Yayo and Lloyd Banks. After releasing a string of mixtapes in the early 2000s, including 50 Cent is the Future, God's Plan and No Mercy, No Fear, the group released their debut album Beg for Mercy in 2003, which went on to ship over 4,000,000 copies in the US and was certified Quadruple Platinum by the Recording Industry Association of America (RIAA). The album, which followed the critical and commercial success of 50 Cent's major-label debut Get Rich or Die Tryin', served as a platform for Lloyd Banks, Young Buck and Tony Yayo to release their respective solo debut albums; The Hunger for More (2004), Straight Outta Cashville (2004) and Thoughts of a Predicate Felon (2005). In 2008, the group released their second album T·O·S . James Iovine is an American record producer best known as the co-founder of Interscope Records. In 2006, Iovine and rapper-producer Dr. Dre founded Beats Electronics, which produces audio products and operated a now-defunct music streaming service. The company was purchased by Apple Inc. for $3 billion in May 2014. His next album LAX was released in 2008. With his eighth studio album The R.E.D. 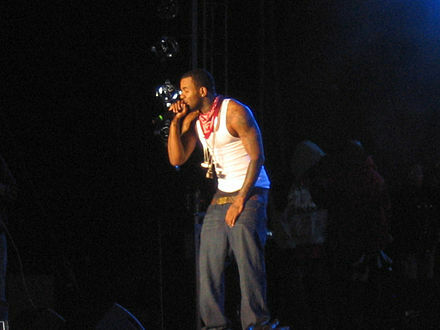 Album , The Game again debuted at number one on the Billboard 200. In addition to music, The Game has starred in motion pictures and founded The Black Wall Street Records. In September 2011, The Game started working on his ninth studio album, Jesus Piece , which was released on December 11, 2012, his final album released by Interscope. After releasing a mixtape OKE , on October 12, 2013, Baby announced The Game had signed to Cash Money, which is distributed by Republic. However, The Game later refuted this claim. His latest album 1992 was released on October 14, 2016, and spawned two official singles. LAX is the third studio album by American rapper The Game. It was released on August 26, 2008, by Geffen Records. Recording sessions took place from 2007 to 2008, with the production that were contributed by Cool & Dre, Kanye West, Scott Storch, Nottz, Hi-Tek, J.R. Rotem and JellyRoll; as well as guest appearances from Chrisette Michele, Common, Ice Cube, Keyshia Cole, Ludacris, Nas, Ne-Yo, Raekwon, Raheem DeVaughn, Travis Barker, Bilal and Lil Wayne. The album was supported by four singles: "Game's Pain" featuring Keyshia Cole, "Dope Boys" featuring Travis Barker, "My Life " featuring Lil Wayne, and "Camera Phone (song)" featuring Ne-Yo. 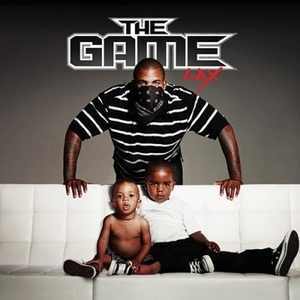 The album was released with two different cases such as one cover art for the deluxe version with Game looking at the camera with his bandanna in his hand, and the cover art for another was with him sitting on a couch smoking a blunt. The R.E.D. 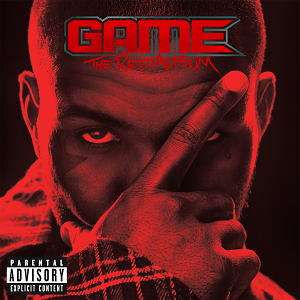 Album is the fourth studio album by American rapper Game. It was released on August 23, 2011, by DGC Records, which serves as Game's first release under the label. Recording sessions for the album took place from 2009 to 2011 at four different recording studios in California. Dr. Dre, Pharrell Williams and Mars served as executive producers on the album, and includes a wide range of producers such as Boi-1da, Cool & Dre, DJ Khalil, DJ Premier, Don Cannon, Hit-Boy, Maestro, StreetRunner and The Futuristics. The featured guests include rappers Dr. Dre, Snoop Dogg, Tyler, the Creator, Lil Wayne and Kendrick Lamar, and singers Lloyd, Mario, Chris Brown and Nelly Furtado. 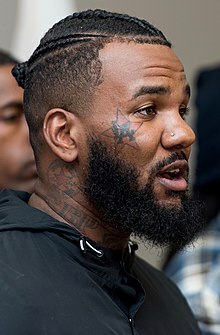 The Game was born Jayceon Terrell Taylor   on November 29, 1979, in Compton, California, and in southern Los Angeles County to George Taylor, Jr. and Lynette Baker, who both were members of the Crips street gang. Through his father, Taylor is also of partial Mexican American and Native American heritage in addition to the African American ancestry he inherited from both parents. He grew up in a primarily Crip-controlled neighborhood known as Santana Blocc,  although Taylor himself grew up to become a member of the Bloods through his brother. In an October 2006 interview with MTV News correspondent Sway Calloway, The Game described his family as "dysfunctional". Compton is a city in southern Los Angeles County, California, United States, situated south of downtown Los Angeles. Compton is one of the oldest cities in the county and on May 11, 1888, was the eighth city to incorporate. As of the 2010 United States Census, the city had a total population of 96,456. 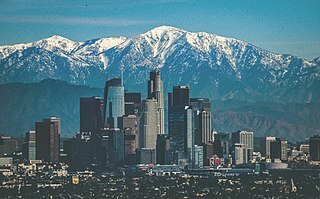 It is known as the "Hub City" due to its geographic centrality in Los Angeles County. Neighborhoods in Compton include Sunny Cove, Leland, Downtown Compton, and Richland Farms. The city is generally a working class city with some middle-class neighborhoods, and is home to a relatively young population, at an average 25 years of age, compared to the American median age of 38. Taylor endured many hardships in his adolescence. At the age of 7, he was placed in foster care. At 13, one of his older brothers, Jevon, was shot at a gas station and died soon thereafter. When he was 15, Taylor was removed from the foster care system and moved in with his mother, and he initially had a tumultuous relationship with her. [ citation needed ] Taylor attended Compton High School, where most gang-affiliated students belonged to the Crips. However, his older half-brother George Taylor III, known as Big Fase 100, attended Centennial High School and was the leader of the Cedar Block Piru Bloods street gang. Foster care is a system in which a minor has been placed into a ward, group home, or private home of a state-certified caregiver, referred to as a "foster parent" or with a family member approved by the state. 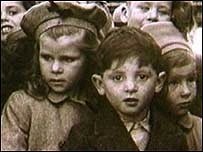 The placement of the child is normally arranged through the government or a social service agency. The institution, group home or foster parent is compensated for expenses unless with a family member. Washington State University is a public research university in Pullman, Washington. 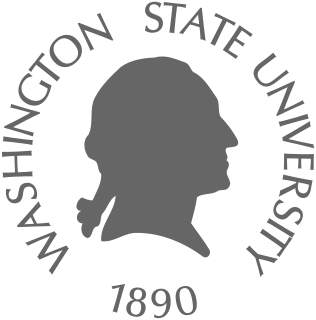 Founded in 1890, WSU is a land-grant university with programs in a broad range of academic disciplines. With an undergraduate enrollment of 24,470 and a total enrollment of 29,686, it is the second largest institution of higher education in Washington state behind the University of Washington. While recovering in the hospital from gunshot wounds he incurred in late 2001, Game told his brother to go out and buy all of the classic hip-hop albums. Over the course of five months, he studied all of the various influential rap albums and developed a strategy to turn himself into a rapper. With the help of his older brother Big Fase, they founded the label. It originally featured such artists as Glasses Malone, Vita, and Nu Jerzey Devil, along with Game himself. 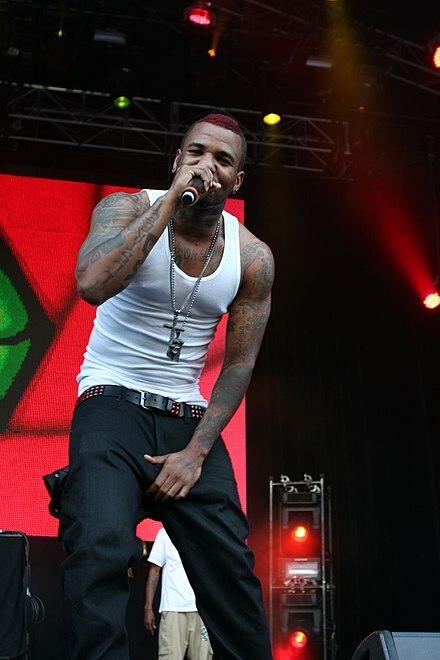 His stage name was coined by his grandmother, who was a huge fan of the 1997 blockbuster, The Game. Game first gained prominence when he attended a hip-hop summit hosted by Russell Simmons and Louis Farrakhan. After he had fully recovered, Game and Big Fase made a mixtape together. He released his first mixtape You Know What It Is Vol. 1 in 2002, and landed a record deal with the independent label Get Low Recordz owned by JT the Bigga Figga. Later that year, the young rapper Lil Eazy-E, son of rapper the late Eazy-E, entered a feud with Game. The two used to be close associates and recorded music together. Lil' Eazy-E has since directed numerous diss songs targeting the rapper and has expressed his anger over what he felt was Game's misuse of his father's name. Game responded by claiming that Lil' Eazy-E was trying to establish himself off the success he had made since releasing The Documentary. He released a song titled "120 Bars" where he claimed that Lil' Eazy-E does not write his own lyrics. However, on the same track, Game stated that he would rather not feud with Lil' Eazy-E due to the deep respect he has for Lil' Eazy-E's father. Lil' Eazy-E later responded with "They Know Me". On October 30, 2006, Game went on KDAY and said that he and Lil' Eazy-E had ended their feud. After the performance at Summer Jam, Game responded with a song titled "300 Barz and Running'", an extended "diss" aimed at G-Unit as well as members of Roc-A-Fella Records on the mixtape You Know What It Is Vol. 3. 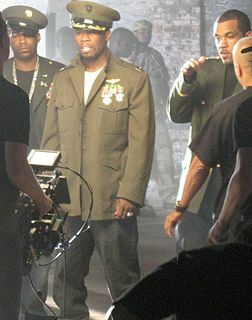 The track is unique in that it is nearly 14 minutes long, in which Game criticizes all members of G-Unit, amongst many others. 50 Cent responded through his "Piggy Bank" music video, which features Game as a Mr. Potato Head doll and also parodies other rivals. Since then, both groups continued to attack each other. Game released two more mixtapes, Ghost Unit and a mixtape/DVD called Stop Snitchin, Stop Lyin . 50 Cent's rebuttal was "Not Rich, Still Lyin'" where he mocks Game. In addition, G-Unit started to respond on numerous mixtapes and then-new G-Unit member Spider Loc began dissing Game. Game responded with "240 Bars (Spider Joke)",  a song mainly aimed at Spider Loc, but also addressing Tony Yayo and rap group M.O.P.,  and on the song "The Funeral 100 Bars". Shortly after the release of the long-delayed eighth studio album, Game announced he had begun work on his ninth album. At the time titled Soundtrack to Chaos, he said the album would not feature him "name-dropping" or feature any artists as guests for vocals. In March 2012, Game announced the album name had been changed to F.I.V.E. : Fear Is Victory's Evolution and that it could be his last album released under Interscope,  but in August 28 the rapper published a new title: Jesus Piece . On September 16, 2016, The Game released "92 Bars", a five-minute freestyle, used to promote his upcoming seventh studio album, but was also rumored to have been a diss towards rapper Meek Mill. Previously, Mill and Game collaborated on 2015's "The Soundtrack". Hours after the release of "92 Bars", Game admitted that the freestyle was specifically a diss towards Mill. The next day, the two rappers ended up in a Instagram exchange, with The Game cyber-flirting with Meek Mill's girlfriend, Nicki Minaj, as well as accusing him of calling the police, informing the authorities about a robbery involving Sean Kingston. On September 18, Meek Mill released a diss track towards Game, a remix to Young M.A. 's "Ooouuu" with Omelly and Beanie Sigel. Two days later, The Game responded with "Pest Control", using the same beat and sending shots at Meek Mill, Omelly, Beanie Sigel and Sean Kingston. In 2018 the two reconciled after Mill's incarceration and subsequent release from prison. On October 27, 2017, The Game released the single "Oh I" featuring Jeremih, Young Thug and Sevyn Streeter. The Game has, on several occasions, honored the memory of those who died during the Armenian Genocide and has expressed his sympathy towards the events. The Game is also an avid supporter of Black Lives Matter. On July 8, 2012, 40 Glocc got into an altercation with The Game. In a video clip, allegedly shot by The Game via Game's iPhone during the fight, 40 Glocc is seen running into a bush after being beaten up by the fellow West Coast rapper. Game defended what he did by saying he was retaliating for Glocc going up to rappers Lil Wayne and Plies in the past with large entourages. In October 2012, 40 Glocc filed a lawsuit for $4.54 million for assault and battery, as well as damaging his reputation. This included $500,000 in pain and suffering; $500,000 in emotional distress; $750,000 in lost earnings; $2 million for punitive damages; $25,000 in medical expenses; and various other reasons. Since then, Glocc has gone on a smear campaign against The Game, releasing his diss "The Full Edit" in December 2012. Game has similarly addressed the situation in several interviews, claiming that filing a lawsuit of this nature "disintegrates your street cred". In December 2012, 40 Glocc assaulted Game's manager Dontay "Taydoe" Kidd in Las Vegas, Nevada. Glocc won the lawsuit and was awarded $3000. 2010 Rob Dyrdek's Fantasy Factory Himself Season 3, Episode 12 : "Jingle Z"
The Nightly Show with Larry Wilmore Himself Episode 109 : "Bernie Sanders Interview"
2016 Hell's Kitchen Himself Season 15, Episode 2 : "17 Chefs Complete"
Shady is an American record label founded in 1999 by Eminem and his manager Paul Rosenberg, after the highly successful release of Eminem's The Slim Shady LP. Both serve as the label's presidents. Kejuan Muchita, better known by his stage name Havoc, is an American rapper and record producer. He was one half of the hip-hop duo Mobb Deep with Prodigy. Full Surface is a record label founded in 2001, by American hip hop recording artist and record producer Kasseem "Swizz Beatz" Dean. With the help of his protégé, Cassidy, who was the 1st artist signed, the label was established. The label used to operate through Sony's J and through Universal's Interscope, Motown and Universal Motown. However, the label also had released material through joint ventures with other companies outside the Sony BMG group. It operates as a subsidiary of Warner and is distributed by Atlantic. 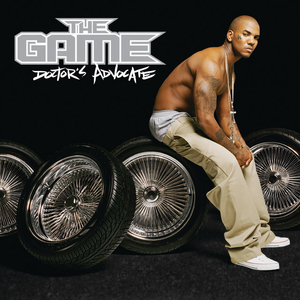 Doctor's Advocate is the second studio album by American hip hop recording artist The Game, released on November 14, 2006 through Geffen Records. The album is his second major-label release, following 2005's The Documentary, which was released on Aftermath/G-Unit. Due to his disputes with 50 Cent, Game left Aftermath/G-Unit and signed with Geffen Records, another label under Universal Music Group's Interscope-Geffen-A&M division to terminate his contractual obligations with G-Unit, in the summer of 2006. 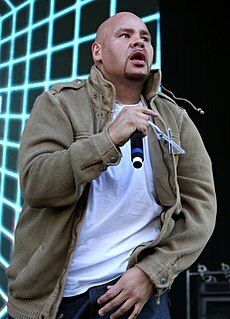 Joseph Antonio Cartagena, better known by his stage name Fat Joe, is an American rapper and actor from the Bronx, New York. He began his music career as a member of hip hop group Diggin' in the Crates Crew (D.I.T.C. ), then forged a solo career and set up his own label, Terror Squad, to which he signed Big Pun, Remy Ma, Tony Sunshine, Cuban Link, Armageddon, Prospect, Triple Seis and DJ Khaled as well as discover producers Cool & Dre. Ricardo Emmanuel Brown is an American rapper and actor, better known by his stage name Kurupt. His career began in the early 1990s when he was signed to Death Row Records and shortly after formed the duo Tha Dogg Pound with Daz Dillinger. After leaving Death Row in 1996, he signed with A&M and released his debut studio album, Kuruption! in 1998. He is also a member of the hip-hop supergroups The HRSMN and Diirty OGz. Antoine McColister, better known by his stage name Ace Hood, is an American rapper. He was born in Port St. Lucie, Florida and raised in Deerfield Beach, Florida. He was formerly signed to DJ Khaled's label We the Best Music Group, Def Jam Recordings and Cash Money Records. His song "Top of the World", from his debut studio album Gutta, was featured in the basketball simulation game, NBA 2K10. He has released four studio albums with his most successful being his last two albums, Blood, Sweat & Tears (2011) and Trials & Tribulations (2013). He is best known for the hit singles "Hustle Hard" and "Bugatti". In 2016, McColister announced his departure from We the Best Music. Lawrence White, best known by his stage name 40 Glocc, is a rapper from Colton, California. War Angel LP is a mixtape by New York City rapper 50 Cent. It was released on June 16, 2009, via his community website Thisis50.com as a free download. Jesus Piece is the fifth studio album by American West Coast hip hop recording artist The Game, released on December 11, 2012, by DGC Records and Interscope Records, his last release on the label. Within a three-year gap between Game's third album, LAX (2008), and his follow-up, The R.E.D. Album (2011), before the latter was finally released in August 2011. The R.E.D. Album was a fall from his previous three released album sales, but became Game's third number one album on the US Billboard 200 chart. Shortly after the release of the long delayed album, Game announced he had begun work on his fifth studio album. The album was originally meant to be titled Soundtrack to Chaos, then was changed to F.I.V.E. and finally Jesus Piece becoming Game's first concept album. OKE: Operation Kill Everything is the fourteenth mixtape by American rapper The Game, which was hosted by DJ Skee. The mixtape was released on October 8, 2013, and serves as his first project since leaving the Interscope Records, following the release of his fifth album Jesus Piece (2012). It was also released in promotion of his upcoming sixth studio album. The mixtape features guest appearances from Too Short, Schoolboy Q, Chris Brown, Lil Wayne, Problem, Nipsey Hussle, Juicy J, Young Jeezy, Clyde Carson, Skeme, Stat Quo and Ty Dolla $ign; as well as the production provided by Cardiak, DJ Mustard, SAP and Cool & Dre, among others. Jon Kevin Freeman Jr., better known by his stage name Jon Connor, is an American rapper and producer. Connor has released various mixtapes and an album effort during his career including the Jay-Z inspired The Blue Album, and the Eminem inspired The People's Rapper LP. He has released one studio album, Unconscious State, and is currently signed to Dr. Dre's Aftermath Entertainment. In 2015 he was featured on Dr. Dre's album Compton as well as The Game's album The Documentary 2. Street King Immortal is the upcoming sixth studio album by American rapper 50 Cent. The album is set to be released through G-Unit Records, Caroline Records, and Capitol Records. ↑ Clover Hope (February 18, 2007). "XXL Spotlights West Coast Hip-Hop In March Issue". Allhiphop. Archived from the original on November 6, 2007. Retrieved July 20, 2007. ↑ Conan Milne (2005). "The West Coast Rap Up: 2005". Dubcnn. Retrieved January 27, 2007. ↑ Kim Osorio (March 21, 2006). "XXL Game: Playtime Is Over". BET. Archived from the original on March 24, 2006. Retrieved October 8, 2007. ↑ "Repentant Yet Defiant, a Rapper at His Best". The New York Times. November 9, 2011. Retrieved November 9, 2006. ↑ Adaso, Henry. "The Game". About.com. Retrieved August 6, 2008. ↑ "The Game pleads not guilty in LA". USA Today. Associated Press. September 25, 2007. Retrieved August 6, 2008. ↑ "Men of the Week: Entertainment". Archived from the original on March 18, 2007. Retrieved January 25, 2007. ↑ Godfrey, Sarah (May 10, 2005). "The Game Fizzles and Snoop Dogg Sizzles". The Washington Post. Retrieved June 18, 2007. ↑ "The Game". MTV. Retrieved January 25, 2007. ↑ "The Game". Bongo Exclusive. Retrieved May 2, 2018. ↑ Caramanica, Jon. "The Game". Archived from the original on November 25, 2006. Retrieved January 25, 2007. 1 2 3 Reid, Shaheem (January 27, 2005). "The Game: Out Of The Shadows". MTV. Archived from the original on September 27, 2008. Retrieved August 10, 2008. ↑ Larkin, Colin (November 1998) . Colin Larkin (ed.). Encyclopedia of Popular Music (3 ed.). Grove's Dictionaries. p. 6653. ISBN 978-1-56159-237-1. ↑ Shaheem Reid (January 17, 2005). "The Game on Bad Boy? It Nearly Happened, He Says". MTV. Retrieved January 17, 2005. ↑ Loftus, Johnny (2006). "The Game > Biography". AllMusic. Retrieved August 13, 2008. ↑ Campion, Chris (November 14, 2004). "The Game". The Observer . Retrieved September 17, 2007. ↑ Leeds, Jeff (November 27, 2005). "Scenes From an Arranged Marriage". The New York Times . Retrieved October 5, 2007. 1 2 3 "Complete list of Grammy Award nominations". USA Today. December 8, 2005. ↑ "TOP BILLBOARD 200 ALBUMS". Billboard. January 2006. Retrieved February 6, 2019. ↑ "The Game Continues". PRNewswire. October 26, 2006. Retrieved January 26, 2007. ↑ Whitmire, Margo (January 26, 2005). "The Game's 'Documentary' Blasts Off At No. 1". Billboard. Retrieved January 25, 2007. ↑ "Untold Story – The Game" . Retrieved January 26, 2007. ↑ Robert (October 26, 2003). "Hip-Hop News: NBA Live 2004 & Hip Hops In The Game". Rap News Network. Archived from the original on March 12, 2016. Retrieved January 26, 2007. ↑ The Game (November 2005). "The Game Releases Statement on Beef". Archived from the original on February 4, 2006. Retrieved July 27, 2007. ↑ de Haas, Dominic (January 2006). "Exclusive ILLHILL.com Lil' Eazy Interview". Ill Hill. Archived from the original on September 28, 2007. Retrieved January 26, 2007. ↑ Bolden, Janeé (October 24, 2005). "Suge Shooting Remains a Mystery". Sohh. Archived from the original on December 31, 2006. Retrieved January 26, 2007. ↑ Rich Rock (August 30, 2005). "The Game Locked Out of Magic Convention, Suge Retaliation Feared". Sohh. Archived from the original on December 15, 2006. Retrieved January 26, 2007. ↑ Williams, Houston (April 14, 2005). "Snoop, The Game, Steve Harvey and Others Make West Coast Peace Treaty". AllHipHop. Archived from the original on April 15, 2005. Retrieved July 27, 2007. 1 2 Rodriguez, Jayson (March 1, 2005). "Update: Man Shot Not With 50 Cent; Violator Offices Shot Up". AllHipHop. Archived from the original on March 6, 2005. Retrieved July 27, 2007. ↑ Blanco, Alvin (March 9, 2005). "AHH Special: 50 Cent and Game's Truce". AllHipHop. Archived from the original on November 1, 2007. Retrieved July 27, 2007. ↑ Williams, Houston (May 9, 2005). "Game: Winds of Change". Allhiphop. Archived from the original on November 1, 2007. Retrieved July 27, 2007. ↑ Rodriguez, Jayson (June 6, 2005). "The Game Taunts 50 Cent, Jay-Z Returns At Hot 97's Summer Jam". AllHipHop. Archived from the original on June 17, 2005. Retrieved July 27, 2007. ↑ Springer, Jr., Anthony (August 5, 2005). "50 Strikes Back in "Piggy Bank" Video". HipHopDX. Retrieved January 29, 2007. 1 2 3 Carl Chery; Jesse Gissen (February 3, 2006). "The Game takes on Spider Loc, 50 Cent strikes back". Sohh. Archived from the original on January 23, 2010. Retrieved January 28, 2007. ↑ Hope, Clover (February 14, 2005). "Game Says No Beef With Jay-Z, Speaks on Amsterdam Comments". AllHipHop. Archived from the original on February 26, 2005. Retrieved July 27, 2007. ↑ Ari, Kawan (September 28, 2006). "Man Up". XXL. Retrieved January 26, 2007. ↑ Osorio, Kim (September 28, 2006). "Daily Music News Wrap Up". BET.com. Archived from the original on March 30, 2007. Retrieved January 26, 2007. ↑ Hasty, Katie (November 22, 2006). "The Game Wins No. 1 on the Billboard 200". Billboard. Archived from the original on December 1, 2006. Retrieved January 27, 2007. ↑ Fresh, Remmie (September 30, 2006). The Game Extends Peace Treaty to 50 Cent Archived November 1, 2007, at the Wayback Machine . Allhiphop. Accessed July 20, 2007. ↑ Wolfe, Roman (April 3, 2007). "The Game Breaks Silence on Manager's Son's Assault, Releases Track Aimed at G-Unit". AllHipHop. Archived from the original on April 6, 2007. Retrieved July 20, 2007. ↑ "Young Buck Speaks On 50, The Game, Sha Money & G-Unit –". Hiphop-Elements.com. Retrieved August 6, 2011. 1 2 Jones, Alan (September 5, 2008). "Slipknot claim first US number one, after chart mix up". Music Week . Retrieved September 6, 2008. ↑ "The Game Embarks On National Tour". XXL. Retrieved August 6, 2011. ↑ Reid, Shaheem (May 13, 2009). "Game Collaborates With Rick Ross For 'Hip-Hop,' Not 50 Cent Disses". MTV. Retrieved May 14, 2009. ↑ Reid, Shaheem (May 14, 2009). "The Game Says He's 'Rededicated To Hip-Hop' On The R.E.D. Album". MTV News. Retrieved July 2, 2009. ↑ "Game On 50 Cent Beef: 'I Did A Lot Of Dumb Things'/Game Beef". MTV. July 2, 2009. Retrieved July 3, 2009. ↑ "Snoop Dogg (SnoopDogg) op Twitter". Twitter. Retrieved August 6, 2011. ↑ "What can be more gangsta than dis? We n the studio right now!... on Twitpic". Twitpic.com. October 3, 2009. Retrieved August 6, 2011. ↑ Paine, Jake (February 7, 2010). "Game officially returns to aftermath records". HipHopDX. Retrieved February 3, 2011. ↑ "Reperi i njohur amerikan,The Game : Do doja të isha shqiptar (VIDEO)". LajmeOnline.eu. Retrieved July 18, 2017. ↑ "Tyler, the Creator Working With the Game". Pitchfork. Retrieved August 6, 2011. ↑ Caulfield, Keith (August 31, 2011). "Game's 'R.E.D.' Bows at No. 1 on Billboard 200 Albums Chart". Billboard. Retrieved August 31, 2011. 1 2 Kuperstein, Slava (September 14, 2011). "Game Reveals Next Album Title, Confirms No Features, Name-Drops". HipHopDX. Retrieved March 29, 2012. ↑ Horowitz, Steven J. (November 8, 2012). "Game Says That Rick Ross Is Interesting In Signing Him To Maybach Music Group". HipHopDX. Retrieved November 8, 2012. ↑ Horowitz, Steven J. (November 25, 2012). "Game Talks Possible Collaborative Album With Chris Brown". HipHopDX. Retrieved December 10, 2012. ↑ The Game Talks Jesus Piece Album, G-Unit Reunion And Why He Disses Jay-Z!. September 5, 2012. Retrieved December 6, 2012– via YouTube. ↑ "The Game Says New Jesus Piece Album Is Inspired By Kanye West". Hip-Hop Wired. September 15, 2012. Retrieved December 6, 2012. ↑ Vasquez, Andres. "Game Clarifies Comparison Of "Jesus Piece" With Dr. Dre's "2001"". HipHopDX. Retrieved November 8, 2012. ↑ "Jesus Piece Reviews, Ratings, Credits, and More". Metacritic. Retrieved September 21, 2013. ↑ "Bruno Mars Debuts at No. 2 as Taylor Swift's 'Red' Still Rules". Billboard. December 19, 2012. Retrieved September 21, 2013. ↑ Paine, Jake. "Hip Hop Album Sales: The Week Ending 3/17/2013". HipHopDX. Retrieved March 20, 2013. ↑ "Game Launching Rolex Records: 'We're Gonna Do It Big' – The Juice". Billboard. Retrieved December 10, 2012. ↑ "Game's Leaving Interscope". XXL. October 2, 2013. Retrieved October 9, 2013. ↑ "Exclusive Interview: The Game and Courtney Lee of The Boston Celtics @ARTISTdirect". Artistdirect.com. Retrieved October 9, 2013. ↑ "Game Will Release New Mixtape Tonight – XXL". XXL. Retrieved October 9, 2013. ↑ "Game "OKE (Operation Kill Everything)" Mixtape". Complex. Retrieved October 9, 2013. ↑ C.M., Emmanuel. "Game Might Stay At Interscope – XXL". XXL. Retrieved October 9, 2013. ↑ Ortiz, Edwin (October 11, 2013). "Game Disses 50 Cent on "Hollywood"". Complex. Retrieved October 13, 2013. ↑ C. Vernon Coleman (October 12, 2013). "UPDATE: Game Confirms Signing To Cash Money Records – XXL". XXL. Retrieved October 13, 2013. ↑ "The Game Still Technically Isn't Signed To Cash Money". Vibe. Retrieved March 20, 2015. ↑ "Game Clears Up Cash Money Deal". BET. December 11, 2013. Retrieved March 20, 2015. ↑ "iTunes – Music – Bigger Than Me – Single by Game" . Retrieved March 20, 2015– via iTunes. ↑ "Listen to The Game Diss Rap's 'New Generation,' Frank Ocean on 'Bigger Than Me'". Radio.com. Archived from the original on June 17, 2014. Retrieved June 17, 2014. ↑ Goddard, Kevin (June 18, 2014). "The Game Announces "The Documentary 2" Dropping In Early 2015". HotNewHipHop. Retrieved June 18, 2014. 1 2 HipHopDX (June 20, 2014). "Game Addresses 50 Cent, G-Unit Reunion & Lil Durk Beef". HipHopDX. Retrieved March 20, 2015. ↑ "iTunes – Music – Or Nah (feat. Too $hort, Problem, AV & Eric Bellinger) – Single by Game" . Retrieved March 20, 2015– via iTunes. ↑ "Game "Blood Moon: Year Of The Wolf" Release Date, Cover Art, Tracklist & Stream". HipHopDX. October 14, 2014. Retrieved March 20, 2015. ↑ "REVOLT – REVOLT – Game Reveals 'The Documentary 2' Release Date". REVOLT. Retrieved March 20, 2015. 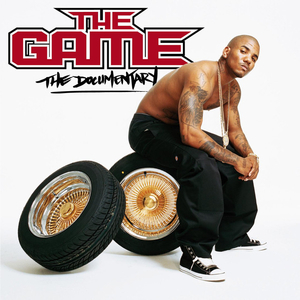 ↑ "The Game – The Documentary 2". Amazon.com. ↑ "Exclusive: The Game – Documentary 2 (Artwork & Release Date)". Fashionably-Early. ↑ "The Documentary 2" – via iTunes. ↑ Meadow, Matthew (October 10, 2015). "Skrillex Collab With The Game Officially Sees Release". YourEDM. Retrieved January 8, 2016. ↑ Mench, Chris (August 1, 2016). "The Game ends 12 year beef with 50 Cent". Complex . Retrieved August 2, 2016. ↑ Garl, Maurice; 2016, September 16; This, 1:39pm Share This Tweet This Email (September 16, 2016). "The Game Releases Meek Mill Diss "92 Bars" [STREAM]". HipHopWired.com. Retrieved July 18, 2017. ↑ "The Game - 92 Bars (Meek Mill Diss) - Stream [New Song]". HotNewHipHop.com. Retrieved July 18, 2017. ↑ "The Game - The Soundtrack Feat. Meek Mill - Stream [New Song]". hotnewhiphop.com. Retrieved July 18, 2017. ↑ "Meek Mill & The Game Wage War On Instagram". HipHopDX. Retrieved July 18, 2017. ↑ "Video Surfaces Of Meek Mill's Studio Session With Beanie Sigel & Omelly For "OOOUUU"". HipHopDX. Retrieved July 18, 2017. ↑ "Watch the Game's Scathing Meek Mill Diss Video 'Pest Control'". Rolling Stone. Retrieved July 18, 2017. ↑ "the game on change of heart". August 23, 2008. Retrieved March 29, 2012– via YouTube. ↑ "Game Gets Dumped On "Change Of Heart" – The 50 Worst Hip-Hop Fails Of All Time". Complex. Retrieved March 29, 2012. ↑ Gregory, Eben; Strong, Nolan (November 16, 2006). "The Game Joins Pro Basketball Team, Invests In Company". AllHipHop. Archived from the original on April 20, 2006. Retrieved July 27, 2007. ↑ "Higgins Coaches From The Bench And On The Floor". January 17, 2006. Retrieved December 4, 2013. ↑ "The Game shoes Line Hurricane Game". Hip Hop Galaxy. September 14, 2005. Archived from the original on January 3, 2013. Retrieved August 6, 2011. ↑ Charley Rogulewski (February 2, 2013). "Game Completes His 60 Days of Fitness Challenge" . Retrieved December 4, 2013. ↑ Carpenter, Cassie (January 3, 2013). "Rapper The Game reveals impressive weight loss as he posts before and after pictures halfway through 60-day fitness blitz". The Daily Mail . Retrieved December 4, 2013. ↑ "Our wounds are still open: American rapper". Slaq. April 25, 2013. ↑ "Game, Stat Quo Launching New Record Label". XXL. December 2, 2012. Retrieved October 9, 2013. ↑ "Game Loses Legal Battle Over 'Rolex Records' Name, Renames Label". XXL. July 27, 2013. Retrieved October 9, 2013. ↑ peterw (July 15, 2014). "Game Signs Skeme And Dubb To Blood Money Entertainment". XXL Mag. ↑ Dufour, Jeff (January 6, 2007). "Butterfield's engagement to The Game is short lived". The Hill. Archived from the original on January 21, 2007. Retrieved January 26, 2007. ↑ "Snoop Dogg appears in court". idiomag. April 26, 2009. Retrieved April 26, 2009. ↑ "XXL Magazine Snoop Dogg, Dogg Pound and The Game Sued for Concert Assault". XXL. Retrieved August 6, 2011. 1 2 "The Game's Halloween arrest". AskMen. October 31, 2005. Archived from the original on October 1, 2007. Retrieved January 26, 2007. ↑ "N.C. police officers suing rapper The Game". Political Gateway. United Press International. November 3, 2005. Archived from the original on December 1, 2006. Retrieved January 26, 2007. ↑ "Court upholds $5 million in damages in officers' suit against rapper". News & Record. February 21, 2012. Archived from the original on September 3, 2012. Retrieved February 21, 2012. ↑ "Game Arrested On Threat Charge". MTV News. May 12, 2007. Retrieved May 16, 2007. ↑ "The Game Pleads No Contest to Weapons Charge, Sentenced to 60 Days in Jail". XXL. February 12, 2008. Archived from the original on March 13, 2009. Retrieved March 1, 2008. ↑ "The Game denied entry into Canada over 'gang ties'". Archived from the original on April 28, 2011. Retrieved April 23, 2011. ↑ Langhorne, Cyrus (July 11, 2012). "40 Glocc Accuses Game Of Altering Fight Video, "All That Footage Is Edited" [Audio". Sohh. Retrieved November 8, 2012. ↑ Jacobs, Allen (July 8, 2012). "Game & Entourage Reportedly Fight 40 Glocc In Los Angeles, Film Released | Get The Latest Hip Hop News, Rap News & Hip Hop Album Sales". HipHopDX. Retrieved April 5, 2013. ↑ Burgess, Omar. "Game Confirms Fighting With 40 Glocc And "Jesus Piece" Artwork". HipHopDX. Retrieved October 31, 2012. ↑ Horowitz, Steven J. (March 11, 2013). "40 Glocc Suing Game For $4.5 Million Over Assault | Get The Latest Hip Hop News, Rap News & Hip Hop Album Sales". HipHop DX. Retrieved April 5, 2013. ↑ Ryon, Sean (January 1, 2013). "40 Glocc Reportedly Assaults Game's Manager | Get The Latest Hip Hop News, Rap News & Hip Hop Album Sales". HipHopDX. Retrieved April 5, 2013. ↑ Smith, Trevor (November 19, 2016). "The Game held liable for sexual assault of "She Got Game" contestant Priscilla Rainey". Hotnewhiphop. Retrieved November 19, 2016. ↑ "Rapper The Game sentenced for punching policeman". USA Today. February 9, 2017. Retrieved February 2, 2017. ↑ "The Game gets a Left Eye tattoo - MOBO Awards". www.MOBO.com. Retrieved July 18, 2017. ↑ Horowitz, Steven J. (August 13, 2011). "Game Says He Isn't The Best Rapper, Speaks On Advice From Nas | Get The Latest Hip Hop News, Rap News & Hip Hop Album Sales". HipHopDX. Retrieved October 9, 2013. ↑ "The Game Tattoos President Barack Obama On His Belly (PHOTO)". Global Grind. March 14, 2013. Retrieved April 5, 2013. ↑ Horowitz, Steven J. (February 6, 2013). "Game Gets Tattoos Of Dr. Dre's "The Chronic" Album & "The Documentary" DVD Covers | Get The Latest Hip Hop News, Rap News & Hip Hop Album Sales". HipHopDX. Retrieved April 5, 2013. ↑ Harling, Danielle (March 15, 2013). "Game To Tattoo Images Of Both Malcolm X & Muhammad Ali Onto His Body | Get The Latest Hip Hop News, Rap News & Hip Hop Album Sales". HipHopDX. Retrieved April 5, 2013. ↑ Ortiz, Edwin (August 20, 2013). "Game Gets Tattoo of Trayvon Martin on Leg". Complex. Retrieved October 9, 2013. 1 2 "BET Awards Nominees 2005". About.com. 2005. Retrieved July 2, 2009. 1 2 3 "2005 Billboard Music Awards Nominees". About.com. 2005. Retrieved July 2, 2009. 1 2 "2005 MTV VMA nominees". MTV. Archived from the original on September 26, 2015. Retrieved July 2, 2009. ↑ Hale, Andreas (August 14, 2007). "2007 Ozone Awards Winners". HipHopDX. Retrieved March 25, 2011. ↑ Hale, Andreas (August 13, 2008). "2008 Ozone Awards Winners And Recap". HipHopDX. Retrieved July 2, 2009.